Just in case you needed more proof the 2019 Mercedes-Benz G-Class is one of the toughest SUVs on the planet, Euro NCAP has put the gargantuan German SUV through a series of crash tests to see how it would perform in the event of an accident. Thankfully, you can be assured you’ll be well-protected, as NCAP awarded the new-generation G-Wagon a prestigious five-star safety rating. The seven-seat SUV scored 90 % for adult occupant protection, despite some "weak" and "marginal" scores for upper body protection in some tests. Child occupant protection scored 83 percent, while also managing 78 % for vulnerable road-user protection and 72 % for its standard safety assistance technology. 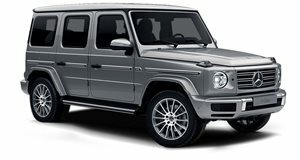 Surprisingly, the boxy G-Class was awarded a commendable 78 % score for pedestrian protection. Euro NCAP also tested the latest Honda CR-V and the new Seat Tarraco, which runs on Volkswagen Group’s MQB platform. Both models also scored five stars for safety. While all three models scored at least 90 % for adult occupant protection, the Seat Tarraco came out on top with a 97 % score, while the CR-V was given a 93 % score despite getting a "poor" rating for rear-seat whiplash protection. 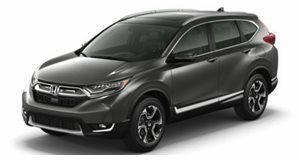 The CR-V also scored 83 % for child occupant protection, while the Seat led the way with 84 %. As for pedestrian protection, the biggest surprise was that the CR-V scored lower than the G-Class, with a 70 %rating. The Seat, on the other hand, achieved a 79 % score in this test. All three cars suffered for offering "weak" or even "poor" protection around the base of the A-pillars, however. "Here we have three new vehicles, competing in the same segment and getting top safety ratings. That’s impressive enough but the fact that all three off-roaders are equipped with pedestrian and cyclist AEB systems really demonstrates the power of consumer testing not only to encourage better performance but also to promote new technologies as standard-fit across Europe,” said Michiel van Ratingen, Secretary General of Euro NCAP.